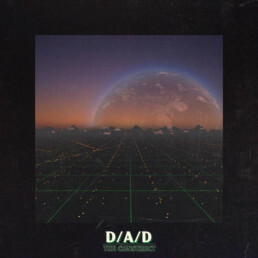 D/A/D (DEE-AYE-DEE) is a 1980’s inspired solo-electronic project by Zach Robinson who currently lives in Los Angeles. Zach is a pioneer in the “Outrun” scene and has been a member of Rosso Corsa since the beginning. Blazing guitar solos carry over his dynamic synthwave production and promise to invoke feelings of nostalgia to get you through the day.